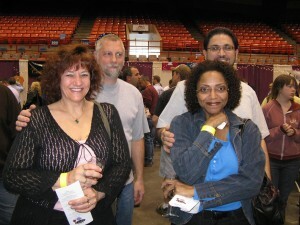 Lakeland Winery was in Utica this past weekend for the Wine and Chocolate Festival sponsored by Galaxy Communication. Had fun, did quite well and have pictures to prove it! Customers voted us “most professionally dressed”. And they said our wine tasted good too.